Last week we shared a bikini body workout that still has our thighs trembling. If you’re ready to show the world what you’ve got, then take your fine toosh to one (or all!) of the world’s sexiest beaches. Famous for: You’ve probably already guessed it — its blindingly white sand and aqua waters that form the most interesting landscape. The largest of of the Whitsundays islands attracts campers on the weekends, but the beaches are still clean as they’ll ever be. If camping isn’t really your style, you’ll enjoy a night at the very posh Hilton Sydney. Where all the cool kids hide out. Famous for: Its exclusivity. You can only step foot onto these gorgeous shores if you stay at the Karma Kandara or with an entrance fee of IDR 250,000 inclusive of food and drinks. Bali is full of secret islands, take a look (or a read). Here you can wine and dine at Karma Beach Club but don’t be fooled, Karma Kandara is extremely child-friendly too. Famous for: Being one of the most photographed beaches in the world. Seychelles itself is home to some of the best beaches, but this one on the northwest tip of Praslin stands out with its unbelievably soft sand and takamaka trees. There are granite boulders on the sides that give the whole beach a little extra edge. Stay at the Constance Lémuria hotel that’s right in Praslin. We’d do anything to live right here, just like Leo. Famous for: Being the island from The Beach (a nomad’s favourite movie!) Right here, Phi Don, is a non-volcanic island made primarily of limestone. Tourists come here from Phuket to simply enjoy the white sands or snorkel. Thankfully, most of the island is a protected marine reserve. 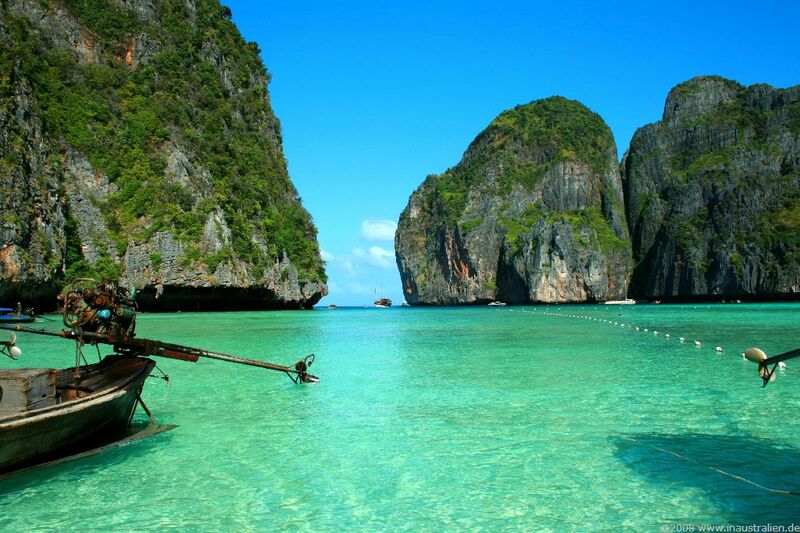 So if you’re thinking of checking Koh Phi Phi out, check into The Pavilions Phuket first. Raiders of the Lost Ark and King Kong were filmed here too. Secrets out. Known for: Its secret location. 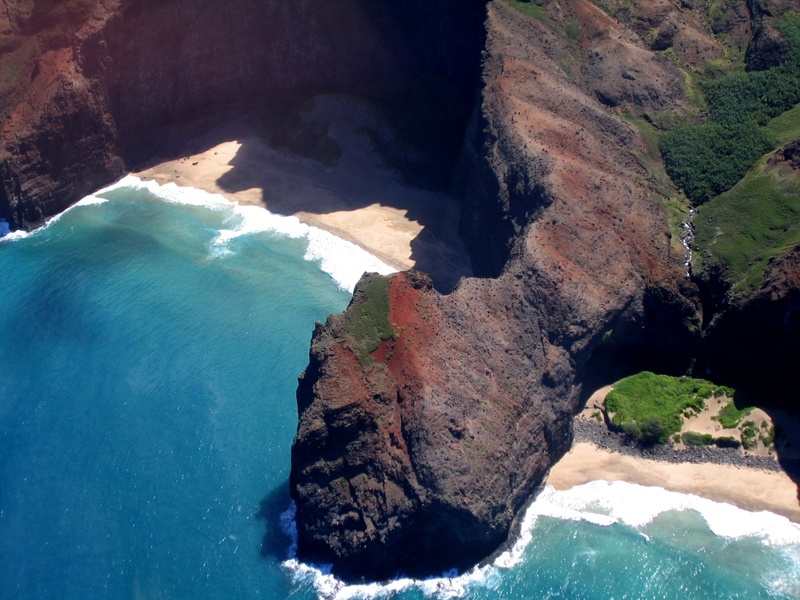 The only way to get here is to swim from an offshore boat or 400 meters from Kalalau Beach — kind of like a real life The Beach, eh? The reward is unlimited greenery, cloaked cliffs and turqoise waters. To experience all the wonders and sights of Hawaii, make sure you also head to Honolulu where you can stay at The Royal Hawaiian, A Luxury Resort Collection. Famous for: The celebrities that come here, among them Kate Moss, Cara Delevinge, Valentino and Penelope Cruz. Located in the party central that is Ibiza, it’s the perfect place to lounge about on a sunny afternoon, then head straight to town to experience Ibiza’s renowned nightlife. You’ll be glad to come home to the relaxing Aguas de Ibiza Lifetsyle & Spa. Best to check this one off the bucket list ASAP. Famous for: Not being famous. We talked about how the Palawan is all set to be the next big location, but until the crowds come in, take a trip to Palawan to enjoy the unspoiled nature and velvet-sand beaches. The island is known for the bluest waters, much like in the Maldives. And while you’re in Palawan, check out Amanpulo its abundant marine life all around. Have you seen anything or anywhere quite like it? Famous for: Being one of the best snorkeling sites in the entire world. The waters here are so crystal clear, that divers can see sea life 50 meters beneath the surface. There are over 1, 00 species of marine life in the Maldives, and beautiful beaches all around, that we can’t pick just one! Maybe you could take a trip to Baros Maldives and let us know. Let’s look at more pretty beaches. Photo credits: Main, 1, 2, 3, 4, 5, 6 ,7, and 8.